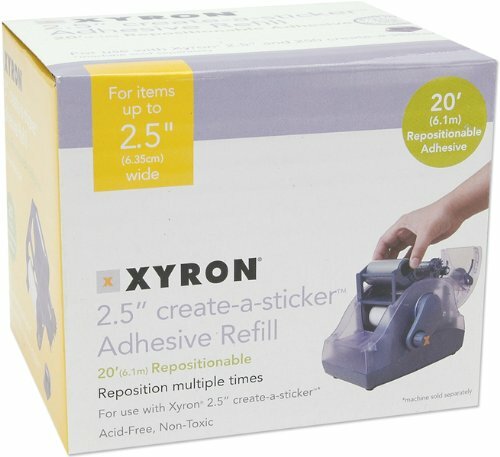 Acid Free repositionable adhesive refill cartridge for use in the Xyron XRN250 2.5-inch create-a-sticker. Keep several on hand so you never have to miss an engaging moment of sticker making! Repositionable feature allows you to move items before final application. The XRN250 from Xyron works without heat, batteries or electricity, so it's clean and easy. XYRON-Xyron 250 Refill Cartridge. This package contains 20 feet of 2-1/2in wide repositioinable adhesive. Imported. XYRON-Xyron 250 Refill Cartridge. This package contains 20 feet of 2-1/2in wide Permanent adhesive. Imported. " Convenient refill cartridge to keep you crafting longer. Contains 20-feet of acid-free permanent adhesive. Easily slides into any version of the Xyron "X" - XRN150 1.5-inch create-a-sticker, including the pink ribbon X. Refill cartridges are also available in acid-free repositionable adhesive, which allows you to reposition items even after placing them on your project. 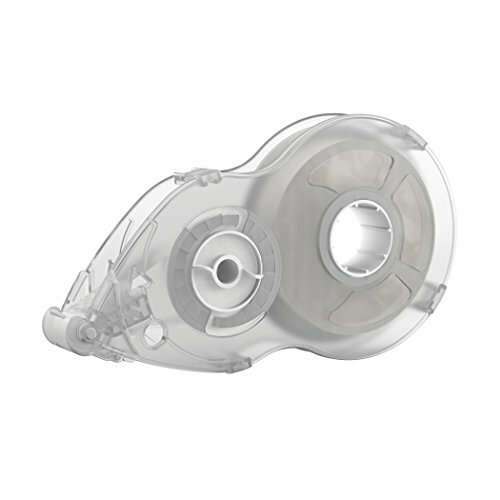 The XRN150 accepts items up to 1.5-inches wide and about the thickness of a nickel. You'll find it very useful when crafting or working on school projects with your younger children. 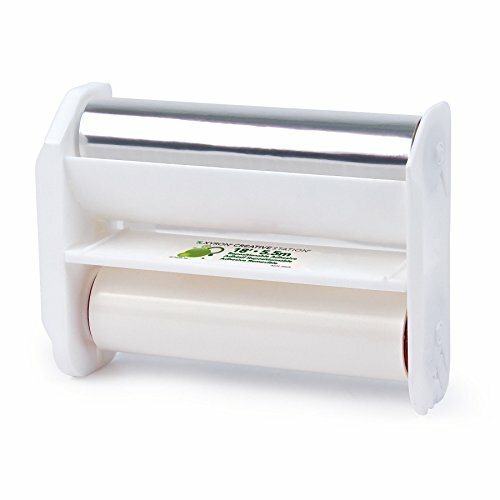 The Xyron XRN500 Create-a-Sticker makes it easy to add adhesive to the back of any flat object up to 5-inches wide. This acid-free repositional adhesive refill cartridge keeps you crafting longer. You can add adhesive to the back of die cuts,decorative papers, cardstock, small decorative mirrors and more. Perfect for home decor projects, scrapbooks, school work and gifts, you'll find so many uses for this easy to use adhesive. No more need for messy glues or adhesive sprays. Just drop in this convenient refill cartridge and apply a clean, edge to edge adhesive. Also available on Amazon.com in a convenient acid-free permanent adhesive refill cartridge. 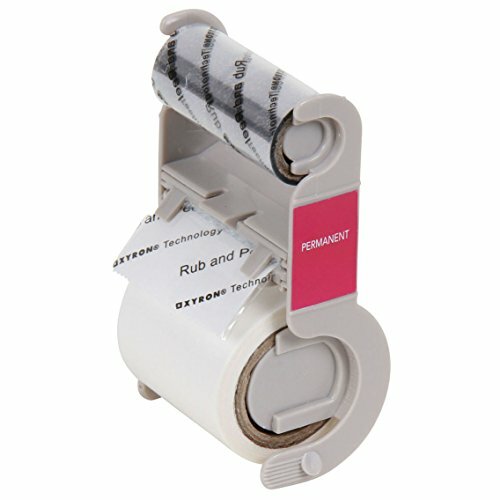 The Xyron 5" Create-A-Sticker Permanent Refill cartridge is 20' long and fits into a Xyron 5” Create-A-Sticker. Enjoy making permanent stickers from items up to 5" wide. It's great for photos, cards and more. 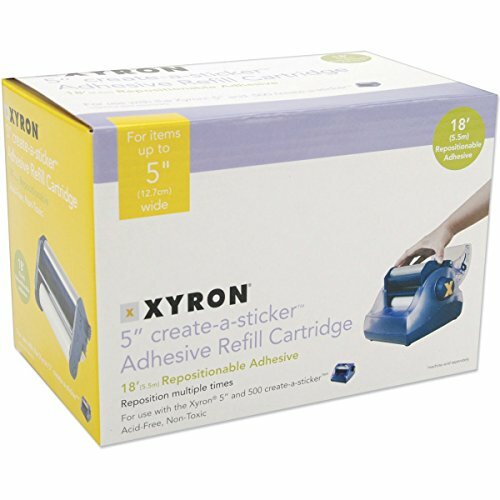 Acid-free repositionable adhesive refill cartridge for the Xyron "X" 1.5-inch create-a-sticker, item XRN150. The Xyron 150 create-a-sticker makes permanent or repositionable stickers up to 1.5-inches wide. This 20-foot repositionable adhesive refill keeps your projects going. Permanent adhesive refills also available for when a stronger hold is required. Repositionable adhesive works best on smooth surfaces and is ideal for card-making, paper crafts, stickers for children, vellum and photos. Refill cartridges work in both the original X design and the ribbon for a cause units, such as the pink ribbon X. This is for 1 pcs. 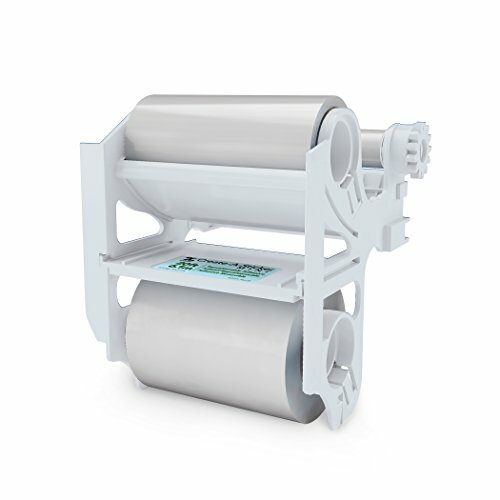 Xyron 250 Refill Cartridge-2.5"X20' Repositionable. XYRON-Xyron 250 Refill Cartridge. This package contains 20 feet of 2-1/2in wide repositioinable adhesive. Imported. Meets CPSIA (Consumer Product Safety Improvement Act) Standards. 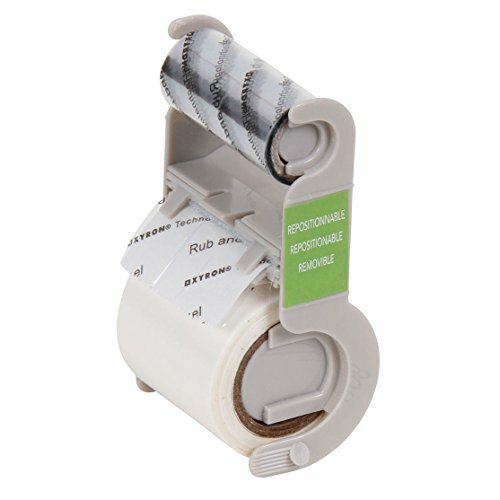 Now the Xyron Mega Runner can be filled with either 1/4-inch or 1/2-inch wide adhesive refills. This refill cartridge contains one hundred feet of 1/4-inch wide dot pattern permanent adhesive, perfect for use on smaller items. The cartridges are easily interchangeable with a simple, drop in design. All Mega Runner refill cartridges contain non-toxic, acid-free adhesive, safe for all your products. 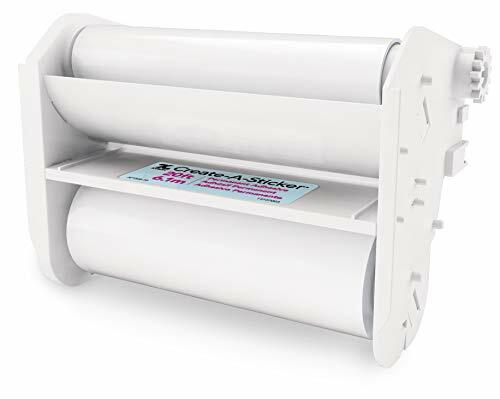 This refill cartridge fits in the Xyron Mega Runner (0701-05-00). 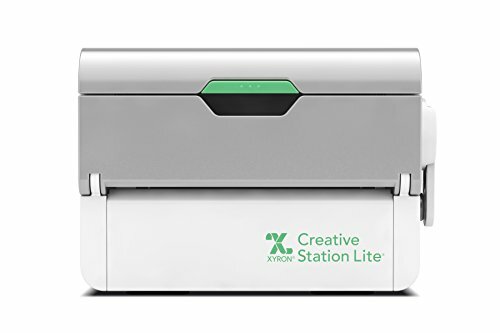 The XRN510 5-inch Creative Station from Xyron allows you to apply edge-to-edge adhesive, laminate or magnet material to flat objects up to 5-inches wide. 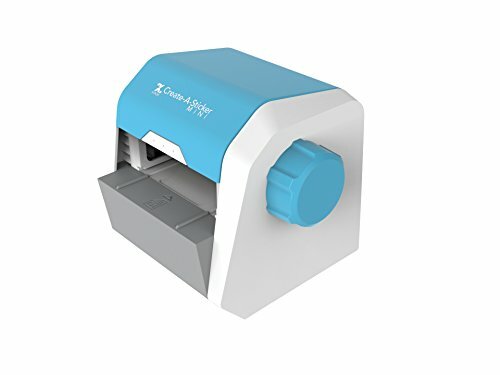 This convenient drop in cartridge switches the application to acid-free repositionable adhesive, allowing you to reposition items on your layout even after you have placed them. Perfect for card making, scrapbooking, school projects, home decor items and so much more. Look for the entire collection of interchangeable cartridges on Amazon. 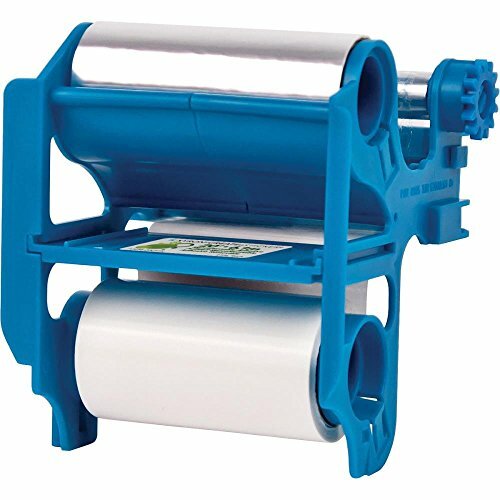 Other cartridges include acid-free permanent adhesive, dual laminate, laminate/adhesive and laminate/magnet. 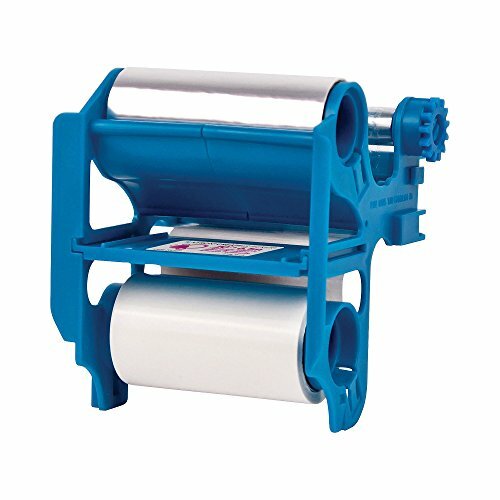 This easy-to-use machine puts a uniform layer of adhesive on any item up to 2.5"X20'. No batteries or electricity required. For use in XRN250.